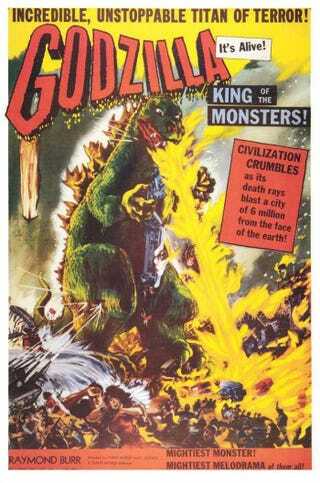 "Godzilla is a rare phenonemun..."
So, I decided to revisit my childhood by watching the Raymond Burr version before checking out the restored original, Gojira. Ever since I saw it as a kid, I've always had to smile whenever I heard the word "phenomenon", because of the way the actor dubbing the Dr. Yamane character butchered it as "phenonemun". There could be a drinking game for this, 'cause he says it a bunch o' times.